SUCCESS AND COMPETENCE IN ALL ASPECTS OF FOOD - THAT'S WHAT MAKES US SPECIAL. We control almost the entire value chain from our own resources - from packaging production to transport. Founded in 1896, the company is still 100 percent family-owned. WELCOME TO UNTERNEHMENSGRUPPE THEO MÜLLER! Strong, well-known brands that are popular with retailers and consumers, the desire for innovation and an always forward-looking view distinguish us. Certainly every German has one of our products on the table almost daily, whether as a milk product, deli salad or as an ingredient that we supply to other segments of the food industry, such as cheese for pizza or whey powder for infant food. We also shape the industry internationally - whether in the United Kingdom, Poland or Italy. Our products are number 1 on the market in numerous segments. Consumer orientation, high quality standards and the desire for innovation are the basis of our success. Unternehmensgruppe Theo Müller comprises activities and numerous strong brands in the dairy, deli and services business areas. 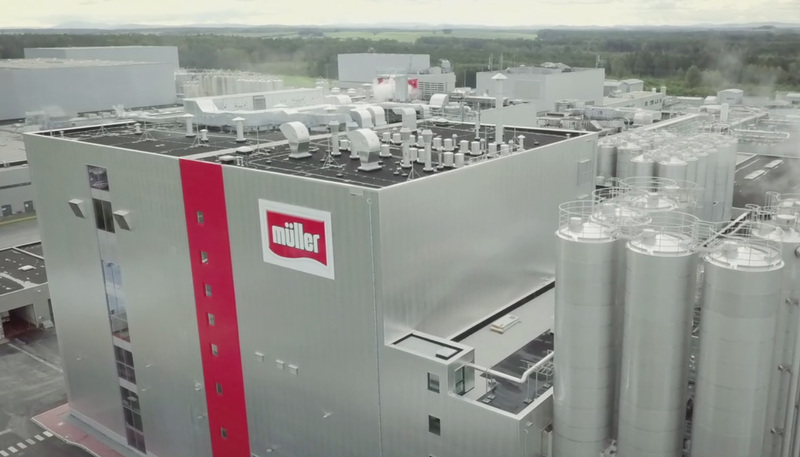 In 1971, Theo Müller took over the dairy in Aretsried, Bavaria, founded by his grandfather in 1896, from his father - at that time with only four employees. Today, Unternehmensgruppe Theo Müller employs around 24,000 People and generates annual revenues of around €5.7 billion.